Space has an amazing effect on us. Give us somewhere open and uncrowded and a curious thing happens. We find room to relax. And so do our minds. And then we tend to think big ambitious thoughts. Which is why Park Infinia is designed to give you the ultimate luxury. Park Infinia at Wee Nam is a freehold condominium located along Lincoln Road, near Newton Road, Scotts Road and Newton Circus. Park Infinia consists of 486 luxurious one to four-bedroom apartments and penthouse. Muted hues and clean, simple lines form the canvas, illuminated naturally by floor to ceiling windows. At Park Infinia at Wee Nam, you'll discover space is used in some interesting ways. For instance, a gym that's not really a gym because it's underwater. Then there's a lawn large enough for even the most hyperactive of kids; the more adventurous of whom might be drawn to the miniature "volcano" by the children's pool. And of course, there's every facility from recreation rooms to tennis courts. Right at the city's edge, Park Infinia at Wee Nam is surrounded by some of Singapore's finest schools, shopping and entertainment. Food, that eternal temptation, is just a stone's throw away. Park Infinia offers the convenience of a central location; not only just a few minutes drive from Orchard Road, it is also walking distance from Novena MRT Station or Newton MRT Station, Newton Hawker Centre, and the eateries, supermarket, shops and health club at Novena and United Square Shopping Malls. Park Infinia is accessible via the Central Expressway (CTE) to all parts of Singapore. Public transport is readily available along Newton Road or a brisk walk to the Newton or Novena MRT station. When the day is finally done, it's time to leave the city with all its hustle and bustle. Great location for families - large outdoor area with lots to do for kids. 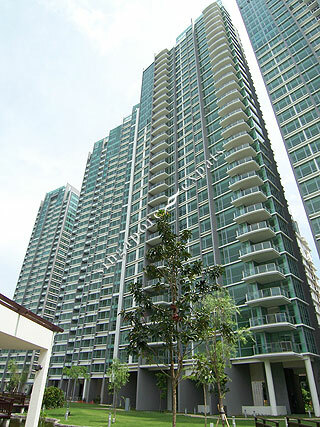 Close to MRT, bus, Orchard Road, Schools and United Square. Units are spacious and cozy.